Already on the evening of the 24th of October, first G-stations were to be heard from the British southeast coast, which happens rather seldom in my to the west sloping hillside. 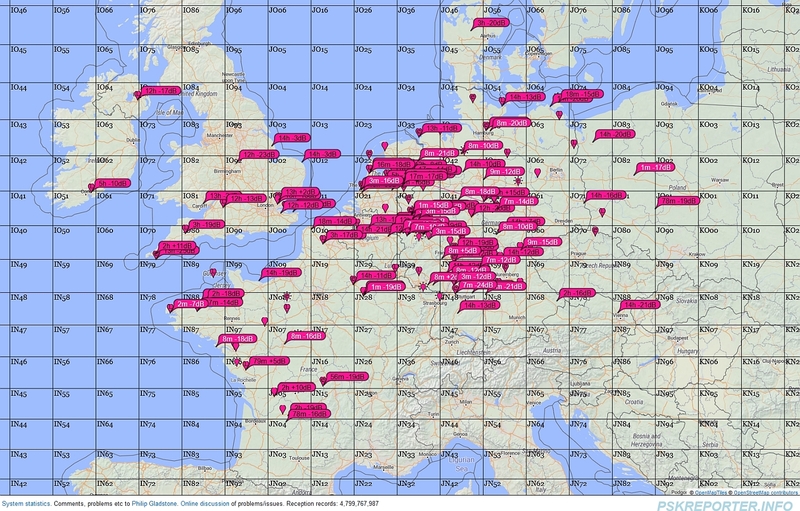 In the evening mostly FT8-mode-contacts with GU, GW and GI found their way into the logbook. 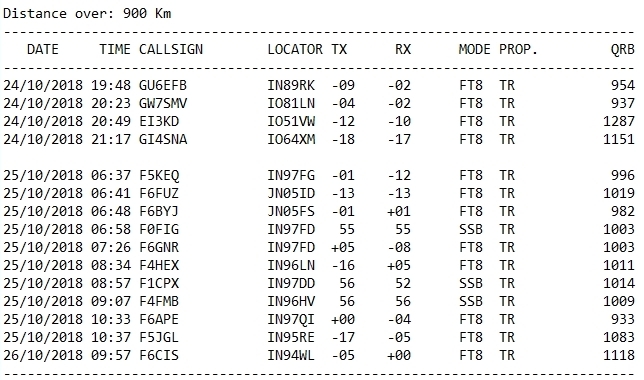 ODX of the day was again Mark, EI3KD from IO51 over a distance of 1.287 km. 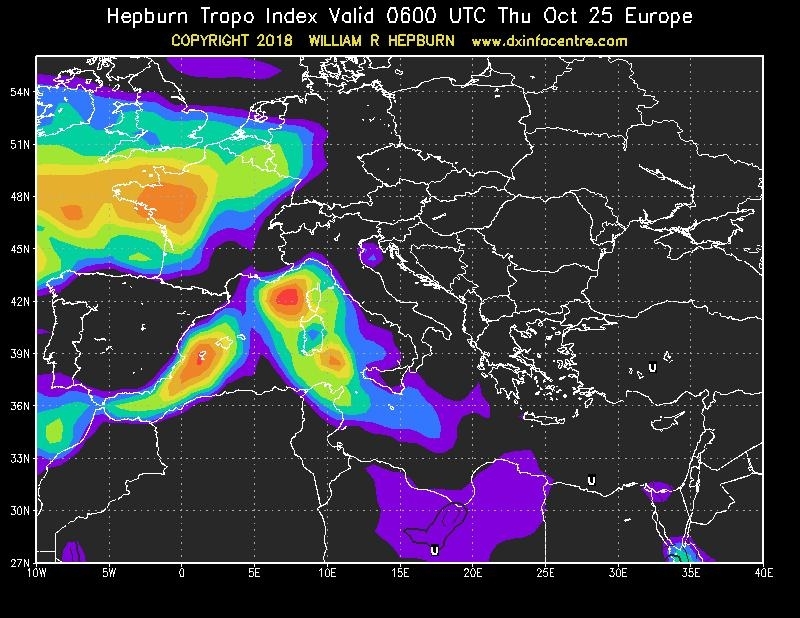 On the 25th of October the day started with very good signals towards France, as well as on the morning of the 26th of October. A nice end to this year’s tropo saison. This entry was posted in VUSHF and tagged Tropo, VUSHF by dk5ai. Bookmark the permalink.